Have you heard of Restaurant.com? Restaurant.com offers dining deals and is an easy, convenient way for me to save money while dining out whether I’m home or traveling. This program also allows me to learn about new mom & pop restaurants in my area, and even new to me chain restaurants- restaurants I may have not heard of otherwise, or restaurants I may not have been likely to try without a coupon or saving a few bucks. It’s easy to use. Simply visit Restaurant.com or download the app on your mobile device, search through the participating restaurants by zip code or city (there are over 20,000 nationwide), purchase your gift certificate and present it at the restaurant you’ve selected to save money. Restaurant.com is a Dining Deals Pioneer. Restaurant.com has been in the business of providing dining deals since 1999. They originally sold certificates on eBay before launching www.Restaurant.com in 2002. Restaurant.com offers 100% Customer Satisfaction Guarantee. If you change your mind about a restaurant and decide not to dine there, you can exchange any Gift Certificate any time, no questions asked. I know. I’ve done this several times. 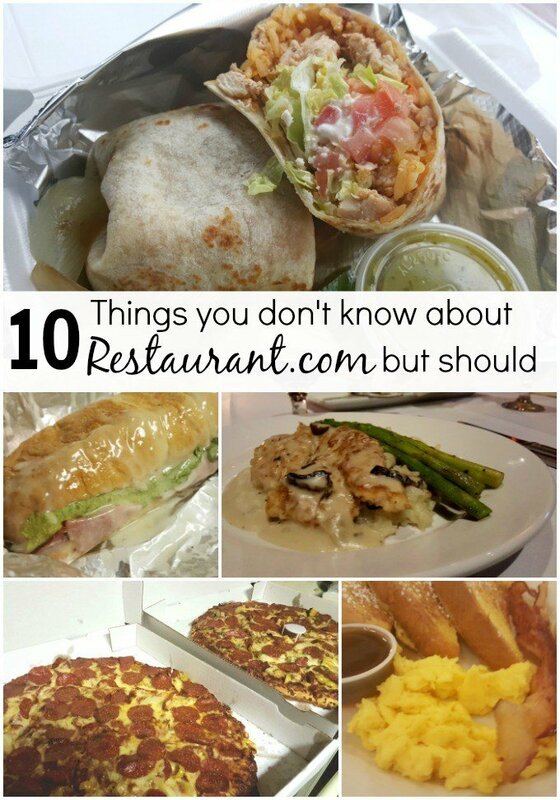 Restaurant.com is based in the Chicago Area and headquartered in Arlington Heights, IL. 4. Restaurant.com supports Independently Owned Restaurants. Not only does Restaurant.com offer deals for diners, it’s essentially free online marketing program for restaurants. Restaurant.com helps locally-owned and operated restaurants gain new customers through exposure on our website. Restaurant.com is loved by Millions! Restaurant.com receives 4 million unique visits to their website and mobile app each month. That’s a lot of savings going on! Restaurant.om offers Dining Deals Every Day. No need to wait for certain days for restaurant deals to be available, Restaurant.com offers savings every day of the week for every meal. Restaurant.com offers Verified Diner Reviews. Restaurant.com verifies that people have actually dined at a restaurant before they can write a review- that means the reviews are trusted. You can engage Restaurant.com on all social media channels- Facebook, Twitter, Pinterest and Instagram. Special offers are available that offer affordable Entertainment, travel, food & drink bundles + a Restaurant.com Gift Card. Restaurant.com also has a corporate branch which sells Gift Certificates to large companies like Coca-Cola and AT&T; an Independent Consultant program in which anyone can sign up to have their own Restaurant.com business. 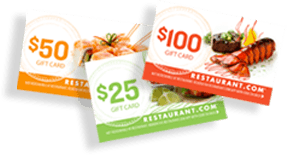 Are you interested in learning more about Restaurant.com or purchasing a Restaurant.com gift certificate? Visit Restaurant.com to learn more.